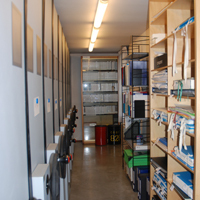 The Foundation’s archive includes the institutional archive and some aggregated ones. The institutional archive preserves all the documentation received, acquired and produced during the administrative and scientific activity. This mainly includes the series and collections of the editorial, study, research and experimentation activity especially in the landscape sector, as well as those connected to cultural initiatives of broader scope. The archives of scientific activity include very varied documentation (published and/or unpublished) which is collected where appropriate in the library, picture and map library, safeguarding their intellectual unity features. The institutional archive is complemented by some aggregated archives (the complete list of which is available in the Assets and collections section), mainly documentary archives produced by significant people in the world of culture, professions and the arts over the course of their lives. These not only bear witness to the individuals that produced them but also recognise the important function carried out by the Foundation in protecting private collections, for which adequate institutional placement is hardly found otherwise. The Miscellaneous section stores documentation (dossiers, unpublished documents, grey literature) for which it is not possible to assign or reconstruct a direct and exact tie with specific Foundation initiatives or projects. The documentation stored in the archive (with the exception of the current part which has not yet been delivered, and the part that has been entered but not yet accounted for) includes, for the institutional part about 3,176 envelopes/folders, 115 roll holder tubes, 1,178 audiocassettes, 2,073 CDs, 1,479 DVDs, 313 floppy disks, 402 videocassettes; the aggregated archives include about 80 linear metres of documents accounted with criteria yet to be uniformed. A special focus is devoted to the formation of the current archive which, based on a project drawn up at the end of 2002, makes use of organisation and management instruments including the computerised records register and the classification filing plan. 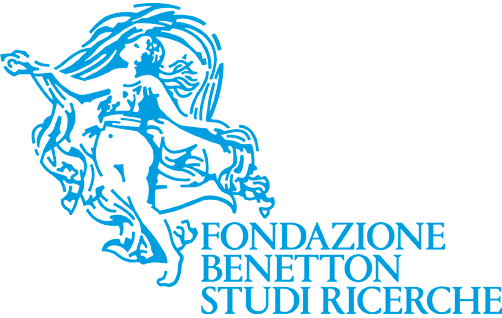 The Foundation has joined the Archivi del Novecento (Twentieth Century Archives) network, and available inventories have been published on its website, specifically those of some aggregated archives. The archive is accessed according to the methods set forth by the regulation and subject to an appointment with the person in charge of the service. There is the possibility of accessing the audio and video records of the public initiatives organised by the Foundation both at its premises and on-line, on request and by booking, via a temporary authentication password. The iconographic section of the archive includes the photographic documents collected and produced over the course of the Foundation’s activities. These are assorted yet mainly contemporary materials: photo shoots conducted on the sites where the courses and workshops were held and of the winning sites of the international Carlo Scarpa Garden Prize, images printed in the various volumes published by the Foundation, iconographic apparatuses relating to studies in progress, and replicas of documents not available in their original version. The photographic sections of the aggregate archives or of acquired or deposited collections are also preserved in the picture library, excluding reasoned exceptions. There are currently 33,355 slides, 11,594 photographs, 1,971 negatives, 10,386 digital images (registered), 251 CDs/DVDs. The photographic material is currently being digitalised, and it is estimated that approximately 50% of the materials registered on analogue media has been processed. The data contained on this page are up to internetdate as at 31 December 2017. 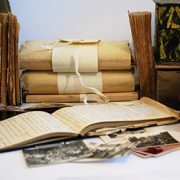 “Twentieth century personal archives” is a research project on contemporary personal archives in Veneto, which was conducted between 2009 and 2017 by the Veneto Region in partnership with Fondazione Benetton Studi Ricerche.